The Bosch Group is a leading global supplier of technology and services in fields of Automotive Technology, Industrial Technology, Consumer Goods, and Energy and Building Technology. Renesas Design Vietnam Co., Ltd (RVC) was founded in October 5th 2004, is one of member companies of Renesas Electronics Corp., operate in fields of hardware design (Chip I.C), function software for mobile and car chip, digital product. RVC is one of the main design center of Renesas Electronics Corp. Address: Lot W.29-30-31a, Tan Thuan Street, Tan Thuan EPZs, District 7, HCMC. Nestlé is the leading company in the world about Food and Beverage, with wide manufacturing networks and business in global. Nestlé operate nearly 500 factories in 86 countries of all over the world, employing more than 280,000 employees, marketing 8,500 brands with 30,000 products. Address: No. 22, Street 8, Vietnam – Singapore Industrial Park, Thuan An District, Binh Duong Province. SABMiller Vietnam Co., Ltd. – member of SABMiller Corp. is one of the most famous beer companies in the world, headquartered in England and USA. SABMiller Corp. currently owns more than 200 domestic and international beer brands. Cargill is a USA company specializing in manufacturing, trading products and and agricultural service, food, industry and finance. Cargill invested in South Vietnam in 1995. After 18 years of operation, Cargill Vietnam currently has 8 manufacturing plant in animal feed, livestock, poultry, aquaculture, office in HCMC and Hanoi with over 1,200 employees and a network of 1,700 dealers in all the country. Along with the animal nutrition field, other field of Cargill Vietnam is also growing, such as: business in steel, grain, feed ingredients, food materials, vegetable oils, Cargill development and exporting. Avery Dennison RIS Vietnam is a member of leading corporations of the United States, specializing in manufacturing and supplying various kinds of labels (printed paper labels, printed fabric labels, woven labels, heat transfer labels) for famous clients in the retail industry, fashion, apparel, footwear. On Semiconductor Vietnam Co., Ltd.
ON SEMICONDUCTOR CO., LTD. VIETNAM (OSV) is under ON Semiconductor Corporation, with more than 20,000 employees in worldwide, headquartered in the US. OSV operates a quality supplier-chain with a global network of design centers, manufacturing plants and sales offices in North America, Europe and Asia Pacific. 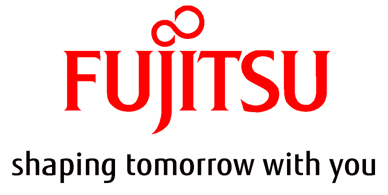 FUJITSU VIETNAM COMPUTER PRODUCTS CO., LTD.
II-VI VIETNAM Co., LTD is a company with 100% foreign capital of the Group II-VI (USA), leading in worldwide in high technology, the high-tech thermal and optical glass production . Vietnam Kimberly-Clark Co., Ltd. is 100% invested by the United States, as multinational corporations, are proud to successfully build a team to work with all the passion, commit to durable contribute to jobs , teams, companies and the world. We not only bring opportunities for your professional development through meaningful and creative works but also the firm professional development. Address: 32 Huu Nghi Avenue, VSIP I, Thuan An, Binh Duong. 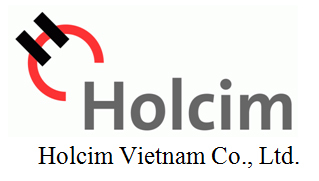 Holcim Vietnam Co., Ltd. is a member of the Holcim Group, one of the world's leading corporations in the manufacturing and supplying Cement, Concrete and services related to construction. Founded in 1912 in Switzerland, Holcim has been present in more than 70 countries in over the world. Holcim Vietnam has around 1,400 employees in one main office, 4 factories and many concrete stations with advanced production and the most modern technology in Vietnam. Address: 9th Floor, FIDECOTOWER 81-85 Ham Nghi Street, Nguyen Thai Binh Ward, District 1, HCMC. Hyosung Vietnam is 100% invested by Hyosung Corp. in Korea, is one of large corporations in the world with operating in many sectors. 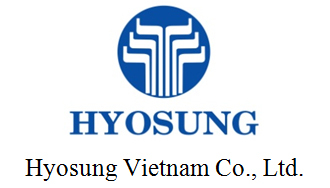 Hyosung Vietnam was founded in 2007, with 3 factories specialized manufacture in Spandex, Tire cord, and Steel cord. SULECO is a state-owned enterprise under the Labour and Social Welfare Service, has the function of sending laborers to work and professional training on time-limit on abroad. Hella Group KGaAHueck & Co. was one of 50 leading car accessories suppliers in worldwide and is one of the 100 largest industrial firms in Germany with more than 30,000 people working in 100 locations in worldwide. Of these, around 5,800 engineers and technicians work in research and development. 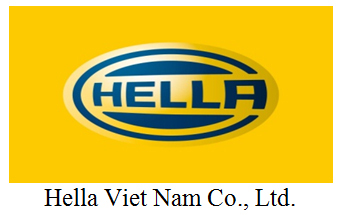 Hella Vietnam is now 100% invested by Hella Group - Germany. Jabil is one of the leading multinational companies in the electronics manufacturing industry in the US, dedicated to providing manufacturing services, design and assembly of finished and semi-finished electronic products for corporations in the world, with 96 factories in 33 countries and over 200,000 employees. Jabil Vietnam was founded in 2007, with 5 factories in Sai Gon High-Tech Park. Currently, Jabil Vietnam is undergoing strong development with strategy in diversification prospects, expansion board complex circuit structure, with a sales target of 500 million USD in 2015. Areas of focus: design and product testing, manufacturing and support repair. Jesco Asia Jointstock Co., Ltd.
JESCO ASIA Joint-stock Co., Ltd. was established in 2001, is a subsidiary of JESCO HOLDINGS, Japan. After the success of the design of electrical systems for the Tan Son Nhat international airport and some other large-project, JESCO ASIA increasingly more popular in Vietnam market in the field of consultancy, design, construction and maintenance projects in the fields of electrical engineering, electronics and telecommunications, communications systems, electric heat, cold temperatures, mechanical, piping, construction and equipment supply – supplies. Omron Healthcare Manufacturing VN Co., Ltd.
Omron Healthcare Co., Ltd. Manufacturing Vietnam was founded on 03.19.2007, supplying and assembling medical devices (automatic sphygmomanometer OMRON brand, nebuliser, nose and throat, blood glucose meter, electronic thermometer ...). Japan OMRON Group entity, the company was founded to meet the increasing demand for products and equipment and customer care services globally. 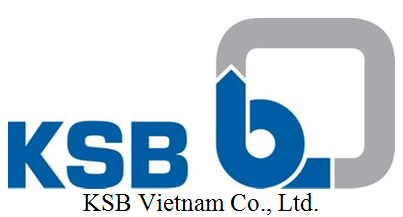 KSB Vietnam Company Limited is a company specializing in supplying pumps and valves from Germany, our company is a subsidiary of the KSB Group. Fashion Garments 2 Co,. Ltd. 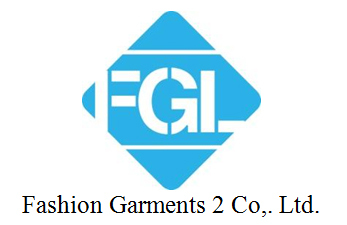 Fashion Garments 2 Co., Ltd. with 100% investment from two major corporations are Hirdaramani Group- Sri Lanka and LT Apparel USA. The company has over 20 years of experience in the textile sector in Vietnam with over 4,900 employees working in four main factories in Dong Nai. Battery GS Vietnam Co., Ltd. BATTERY GS Vietnam Co., Ltd. is a 100% foreign owned, joint venture between GS Yuasa Internationa Co. and Mitsubishi Corporation, specializes in manufacturing all kinds of batteries for motorcycles and cars. Electromechanical Vietnam Thuy Lam Joinstock Co., Ltd. operationed in Nov. 2005 in Vietnam, which was invested 100% by the Group Electrical Engineering of Taiwan Shihlin Electric, the business specializes in manufacturing transformers 1 and 3 phase. Shihlin Electric Power Corporation topped the electrical equipment industry in Taiwan with over 50 years experience in manufacturing all kinds of electrical appliances, which include the manufacture of transformers. Toshiba is one of the leading brands in the business field of electrical products and consumer electronics with a 140 year history (since 1873) development. Toshiba has been present in Vietnam in the 1990s, the period and the country open to the world integration. In October 1996, Toshiba has established a subsidiary in Vietnam first company called Toshiba Consumer Products Vietnam (RW). Yakult Vietnam Co., Ltd. is a member of the Yakult Company, Japna. Yakult is a leading manufacturer in the field of fermented dairy drink that contains live bacteria in many countries worldwide with over 75 years experience. Yakult has been present in Vietnam in 2007, and officially came into operation in 2008 with a line of products fermented milk drink Yakult types 65ml containing Lactobacillus casei Shirota 6.5 billion to help support digestive and prevention. Based in Japan, the MTEX ​​Matsumura Corp. is a brand that specializes in producing long semiconductors, car parts, equipment manufacturing and healthcare. Corporate reputation has been strengthened through the ISO received awards for high quality products. Established in 1996, MTEX ​​Vietnam specializing in producing automobile components and semiconductors. ABB Vietnam is a 100% foreign investment by ABB Corp., Swiss (www.abb.com), the leading global provider of product Electrical Engineering and Automation in industrial sectors and public service. ABB Group operates in more than 100 countries worldwide with 117,000 employees. ABB's products help customers improve the efficiency of production and business activities while minimizing environmental impact. Production and Processing Industry Export Processing Vietnam Co, Ltd. (VMEP) is a trading company first motorcycle manufactured in Vietnam, and by San Yang Industry provides engineering and design. May 2000 VMEP transferred from the Group owns CHINFON via Industry SANYANG, since December 2005 the franchise moved from Industry VMEP SANYANG through Gold Way Holdings Corporation (GWH). Vietnam Brewery Co., Limited (VBL) is a joint venture established in 1991 between the Company, Ltd. Heineken Asia Pacific (HAP) (formerly known as Asia Pacific Breweries Ltd.), headquartered in Singapore and General Trading Company Saigon (SATRA). 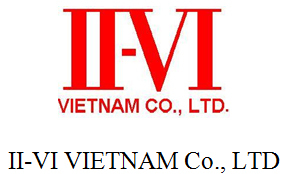 Currently, operating and managing VBL 4 factories located in Ho Chi Minh City, Da Nang, Quang Nam and Tien Giang. Along with the activities of the 4 factories, manufacturing & trading VBL products beer Heineken, Tiger, Tiger Crystal, Desperados, Bière Larue, Bière Larue Export, BGI and Bivina in Vietnam market. Bridgestone Tire Vietnam Co., Ltd.
Vien Thong A Co,. Ltd. Founded in November 1997, the company Telecom A has affirmed its brand, and become "the best choice of you", with over 130 stores and service centers, including close 30 stores at Big C supermarkets, and more than 100 Centers CoopMart Smartphone nationwide. Groz – Beckert Co., Ltd.
eSilicon Co., Ltd. specializing in the design of electronic circuits and software development support for the design of electronic circuits (chips). The company is headquartered in the USA with a total of 9 branches located in USA, Europe, China and Vietnam. 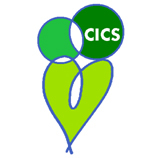 In particular in Vietnam that company has 2 branches, in the city. 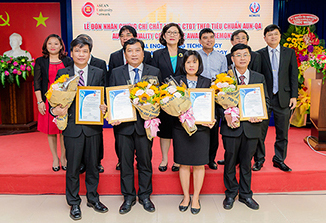 Ho Chi Minh and Da Nang, with a total of over 300 employees, own branch in Da Nang (open since 2008) has nearly 80 employees including about 60 engineers and chip design software design support device chip design. Daikou Vietnam Technology Co., Ltd.
Daikou Vietnam Technology Co., Ltd. was established in 2007 with total investment of 10 million yen. Daikou VN is headquartered in Sai Gon Hi-tech Park, District 9, Ho. Ho Chi Minh. Our company works in the field of design and fabricate all kinds of industrial machinery. Manufacturing sector of our company is now the exact mechanical processing, receive beam framing, designing and machining fixtures, design and manufacturing automation equipment, design of equipment for other manufacturers. A&D of siemens is one of the leading suppliers of products, systems and automation solutions used in the industry. Siemens A & D provides a product very rich, from the actuator standards and drives great, the control device automation, motion control, equipment and process control, switchgear low voltage electrical installation technology to advanced.